Every week we share on Twitter many interesting blog posts and online articles about translation, localization, interpreting, languages, as well as blogging, business and social media. If you missed any of the great content we shared last week, here is your chance to catch up. The links are listed in categories and organized by subject matter. Scroll down to find your favorite and enjoy reading! 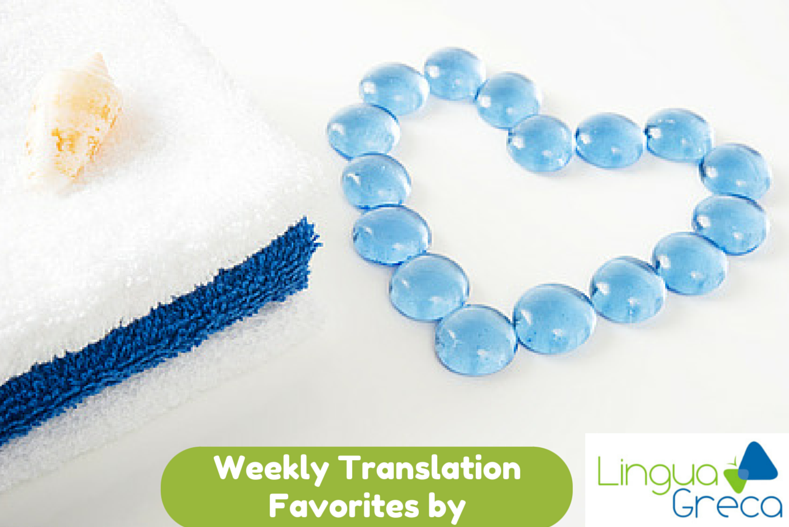 Click here for Weekly Translation Favorites from previous weeks . If you’ve read a fabulous post and would like to share, let us know in the Comments section or email us at info@linguagreca.com so we can add your links to next week’s list. Happy International Translation Day 2015! Catherine Christaki has been a full-time English-Greek translator since 2001 and co-owner of Toronto-based Lingua Greca Translations since 2012. She specializes in Information Technology, Medical, and Technical texts and loves writing for the Adventures in Technical Translation blog. She regularly shares her experience and insight on social media and blogging for translators, giving interviews and presenting at conferences. Connect with her on Twitter @LinguaGreca.